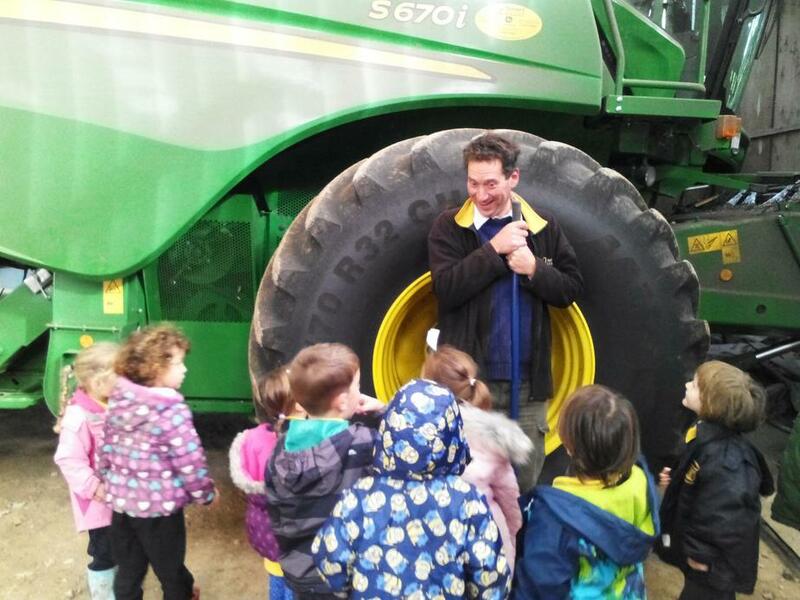 We had a wonderful trip to the Galia's farm today to learn how farmers grow our food. 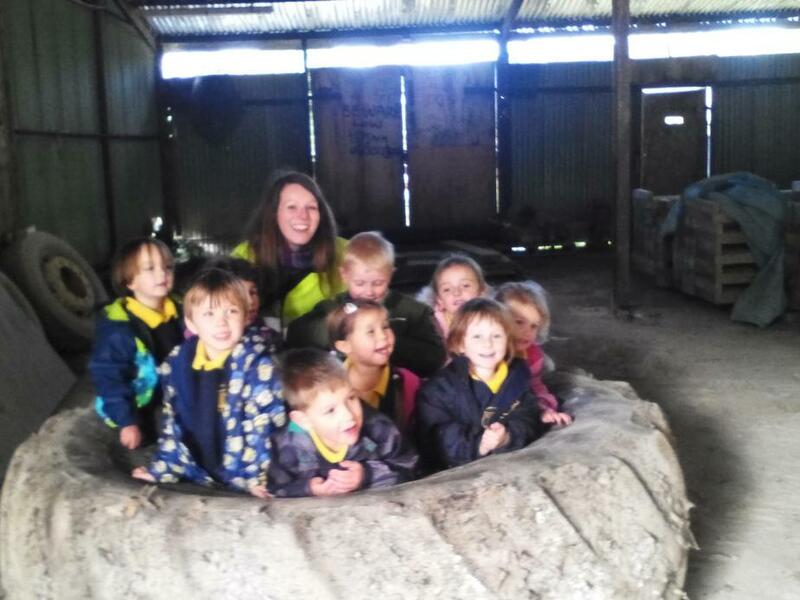 Giant Class loved it! 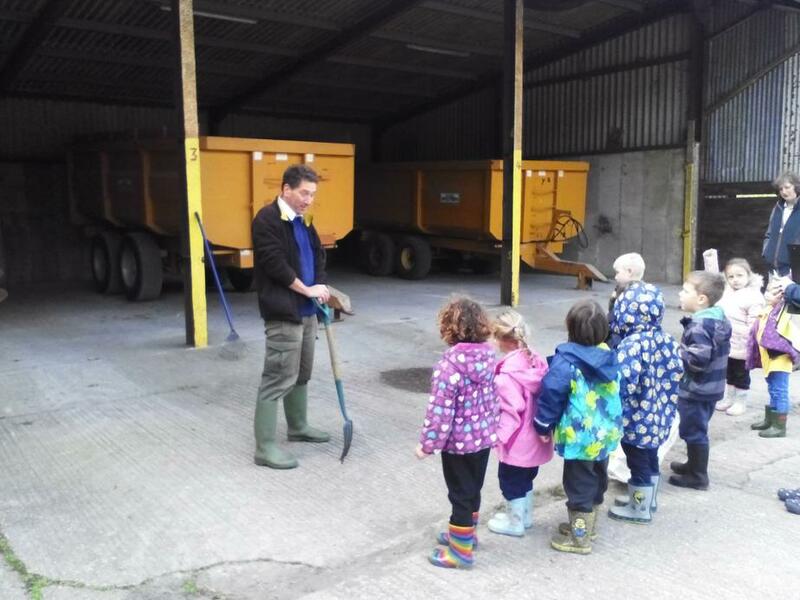 The were very excited to go on the minibus for the first time and when we arrived we were greeted by Mr Galia who introduced us to the different crops he grew on his farm. 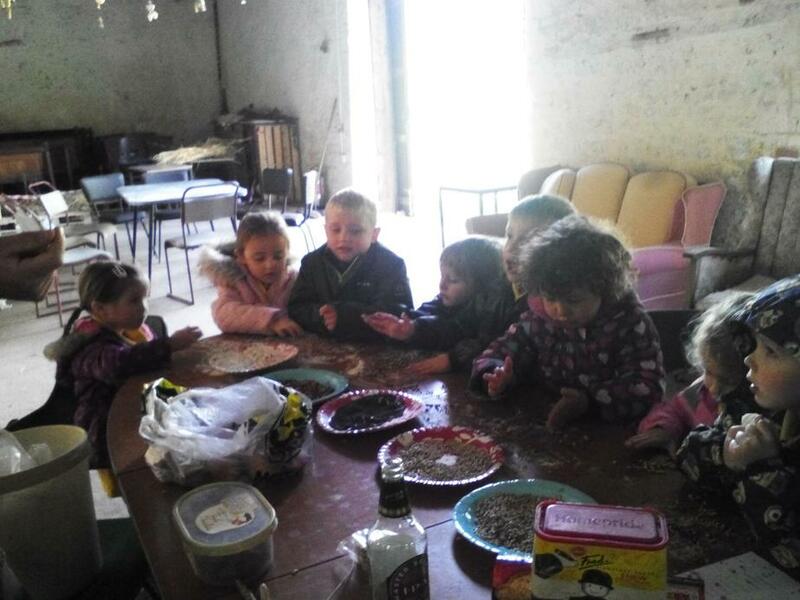 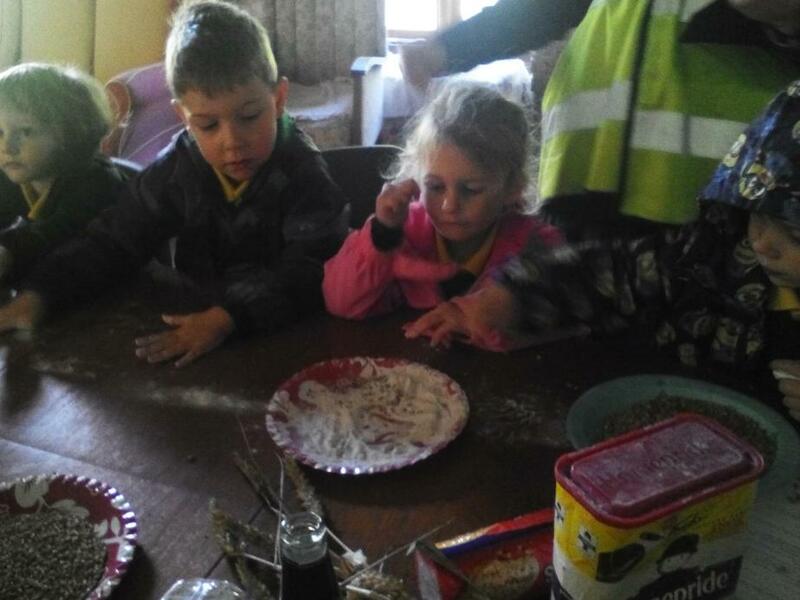 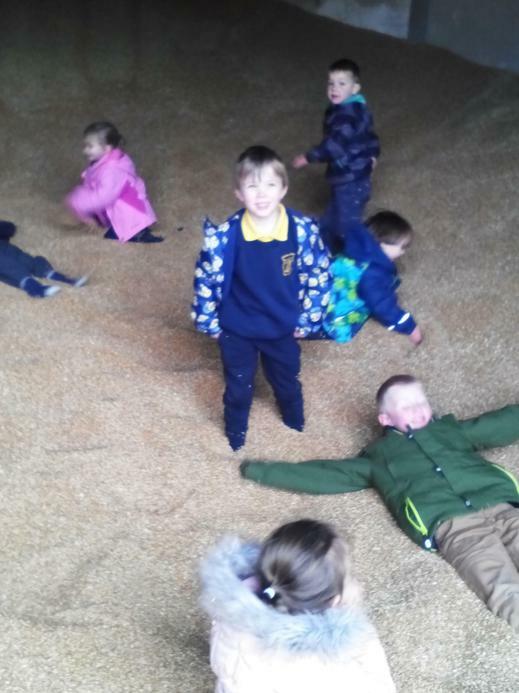 It was a very hands on session where Giant Class got to feel the different crops and how wheat changes in the growing process and how it changes when it is made into flour. 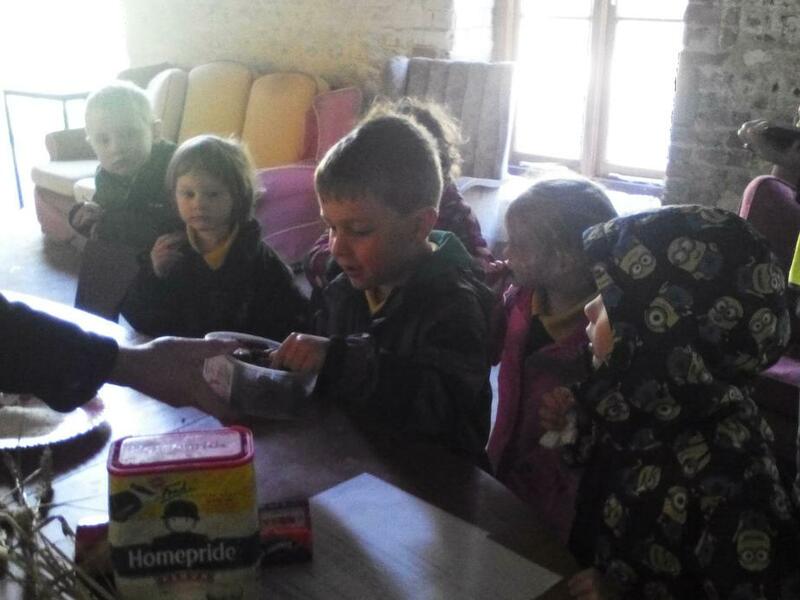 We tried one of Mr Galia's chocolate brownies he had made especially for us to show the children what flour can make. 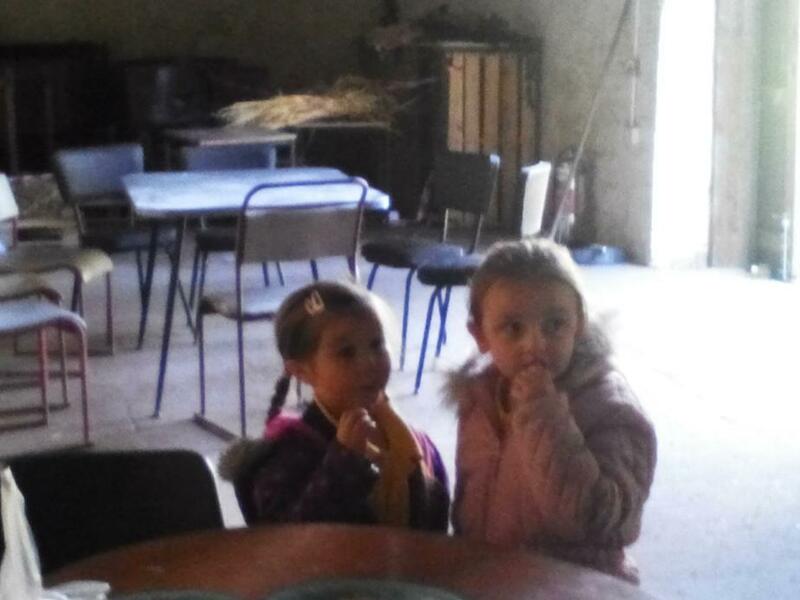 We were also joined by Mrs Galia at this point which was lovely. 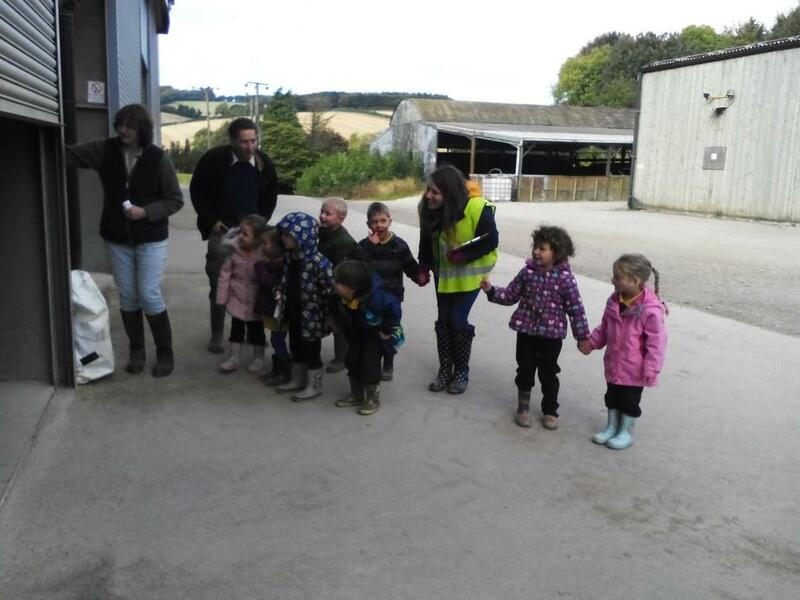 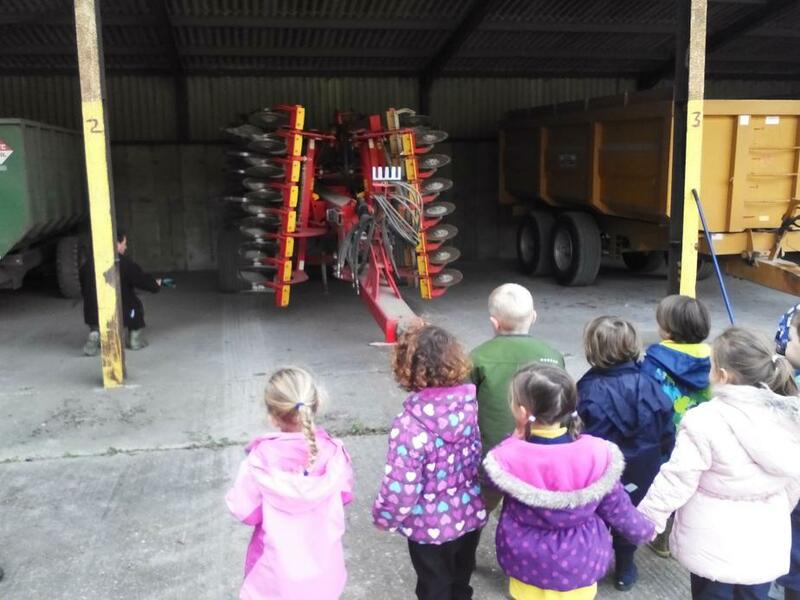 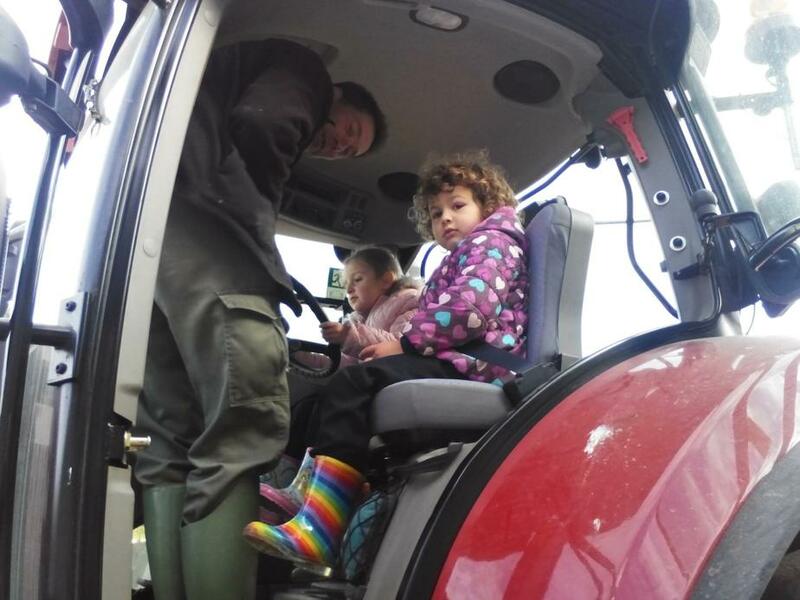 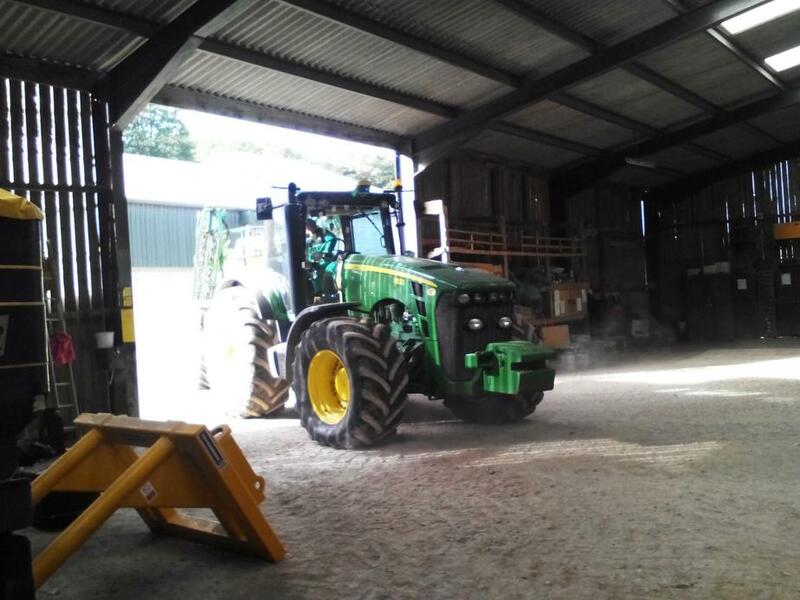 We all went out to explore the farm and see the machines which help Mr Galia. 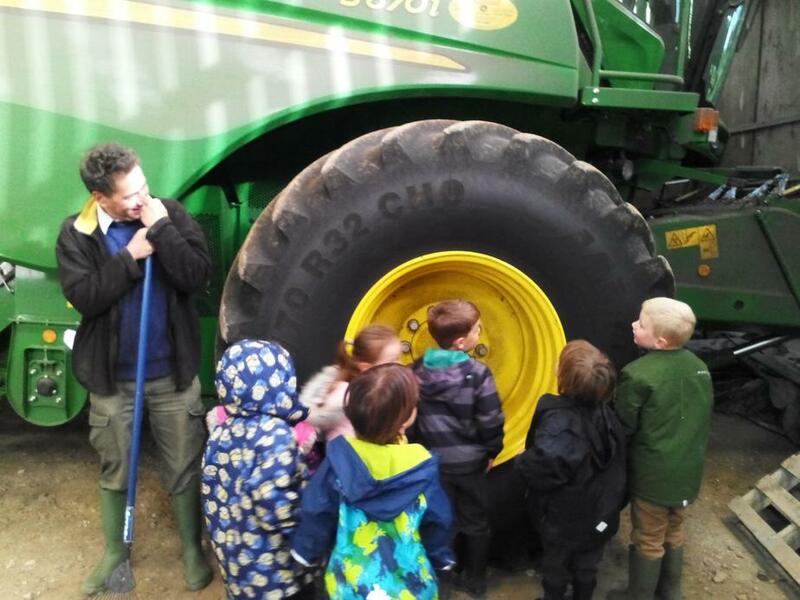 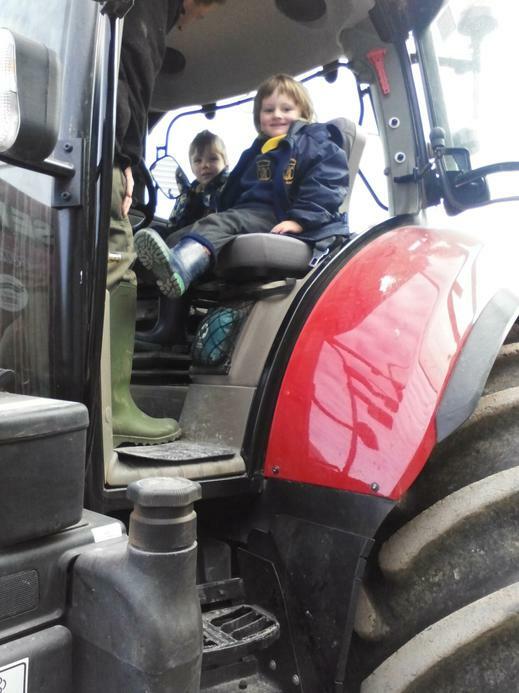 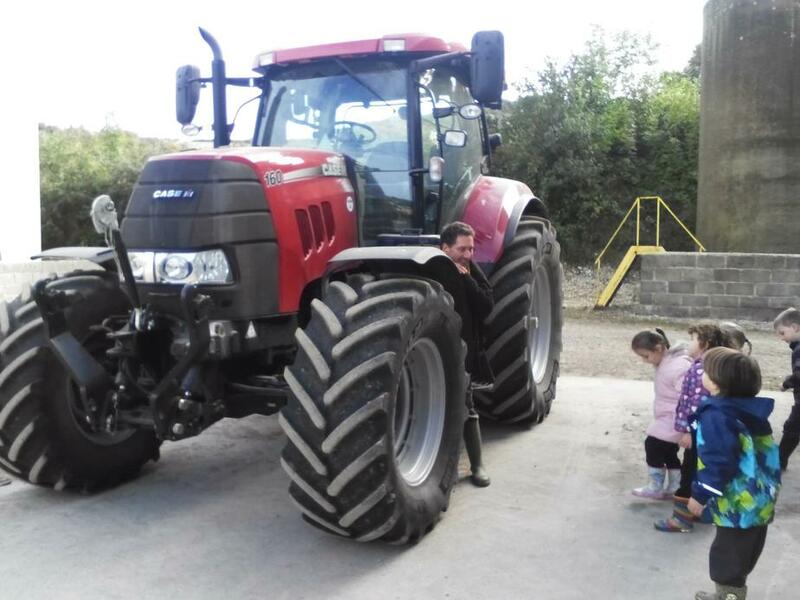 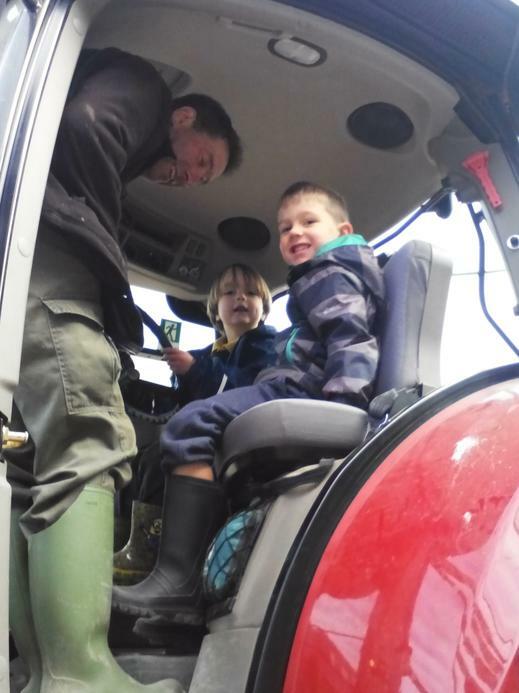 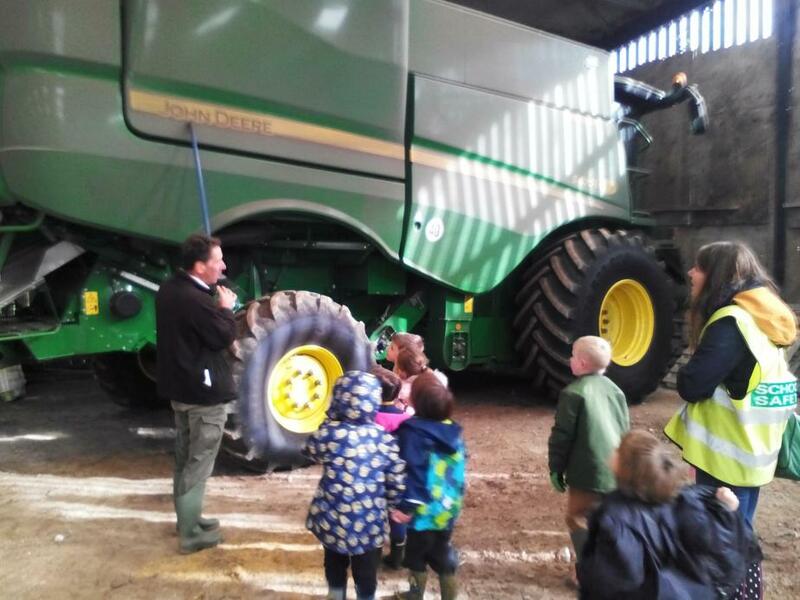 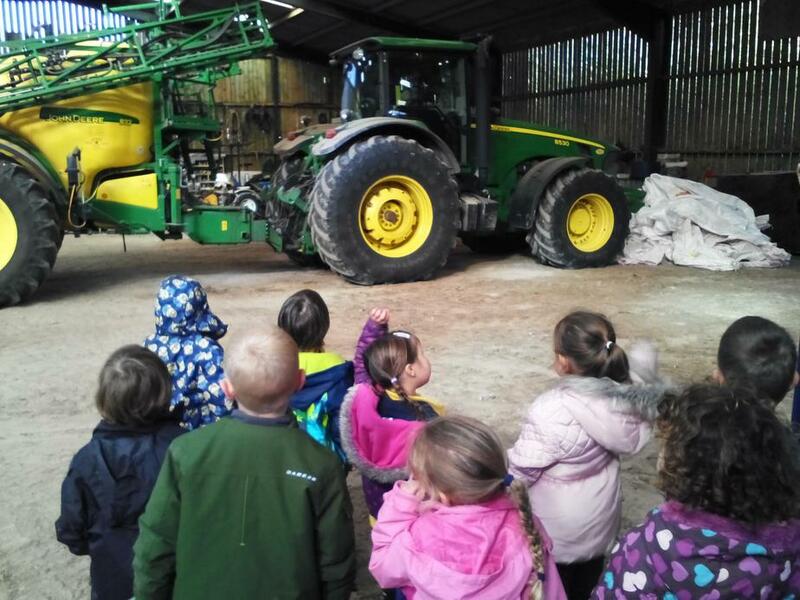 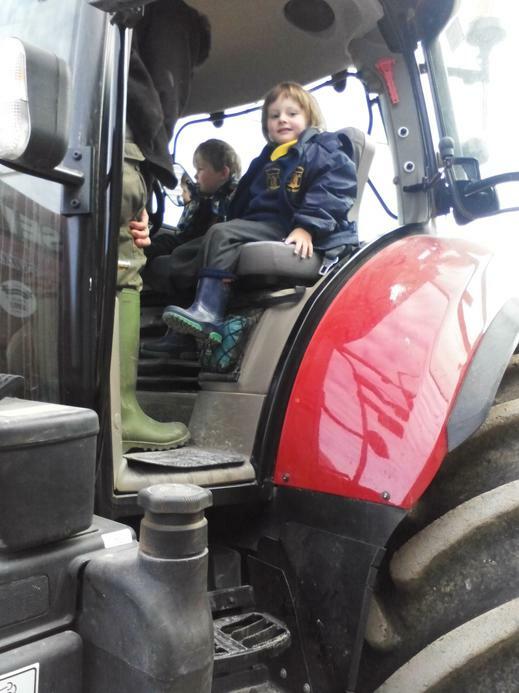 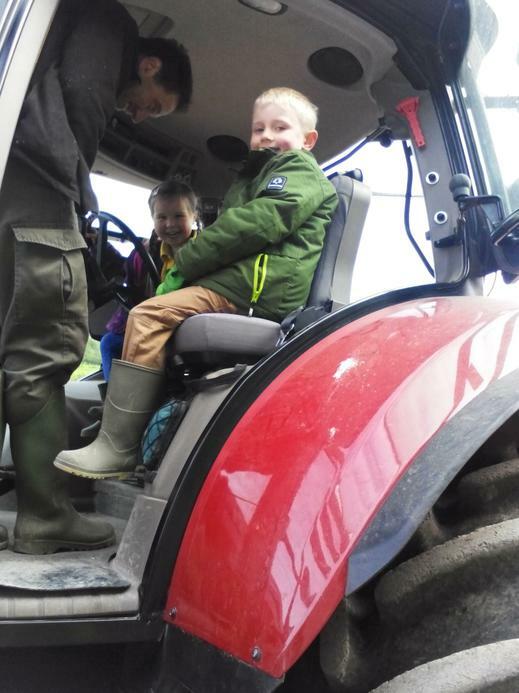 We saw a tele handler, tractor and combine harvester, Giant Class got the chance to go in a tractor which they were very excited about. 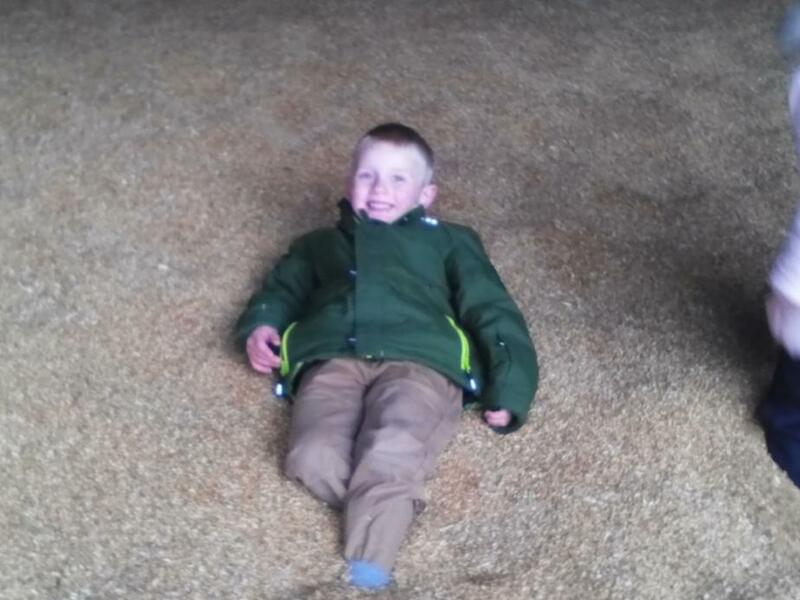 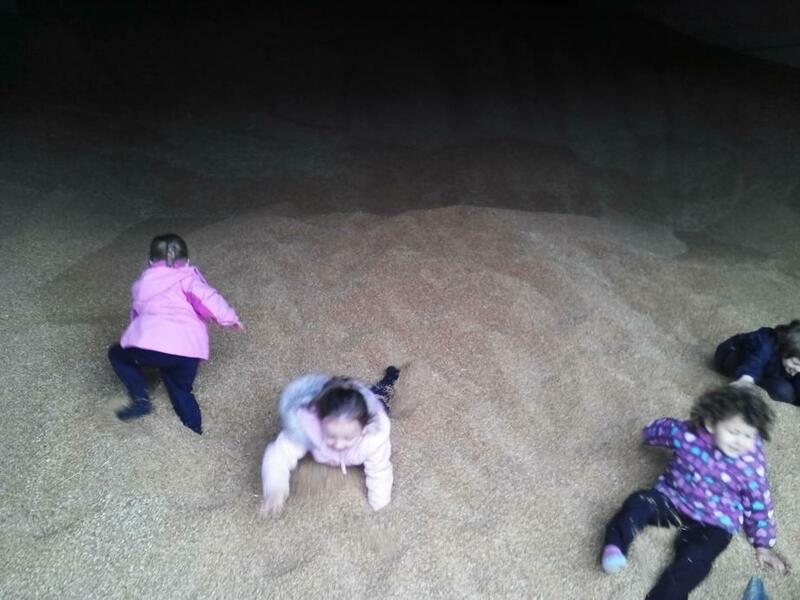 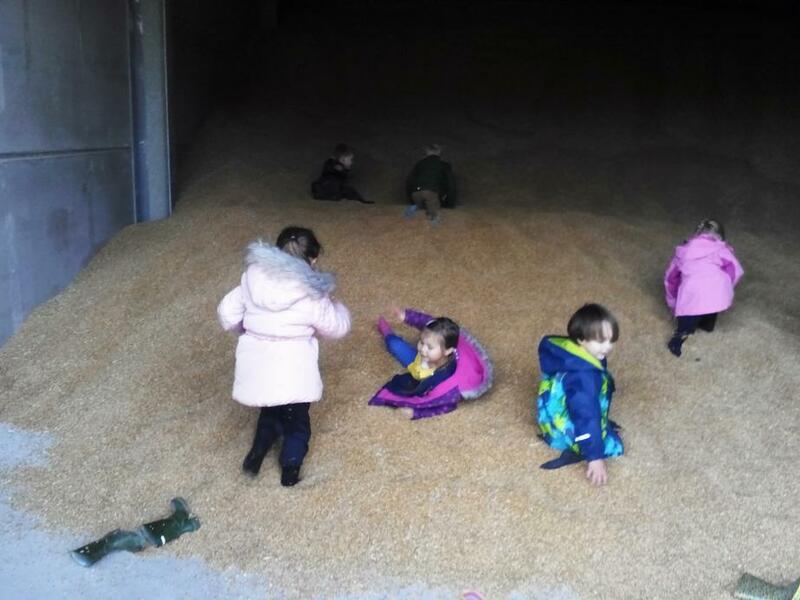 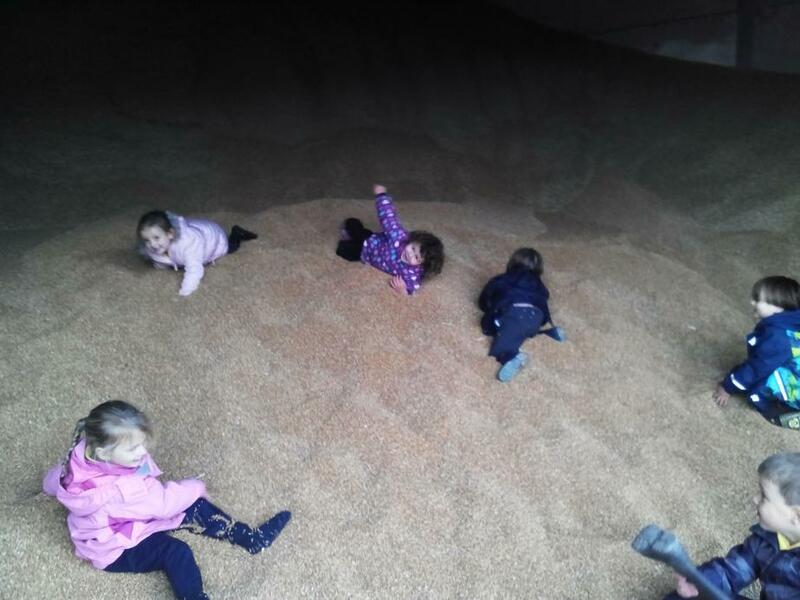 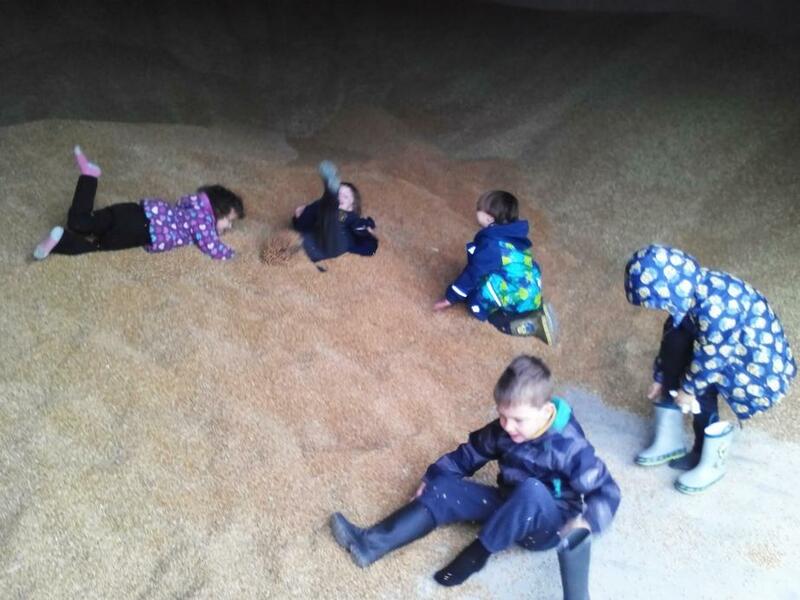 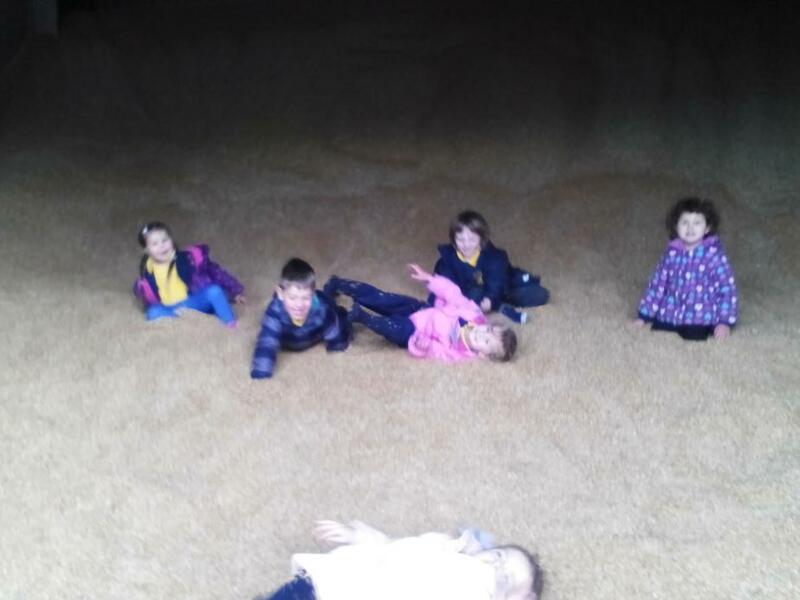 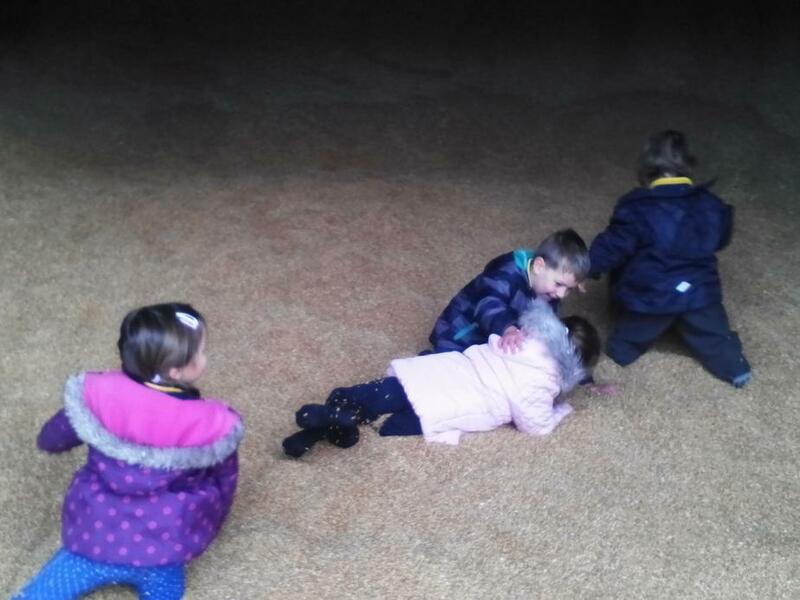 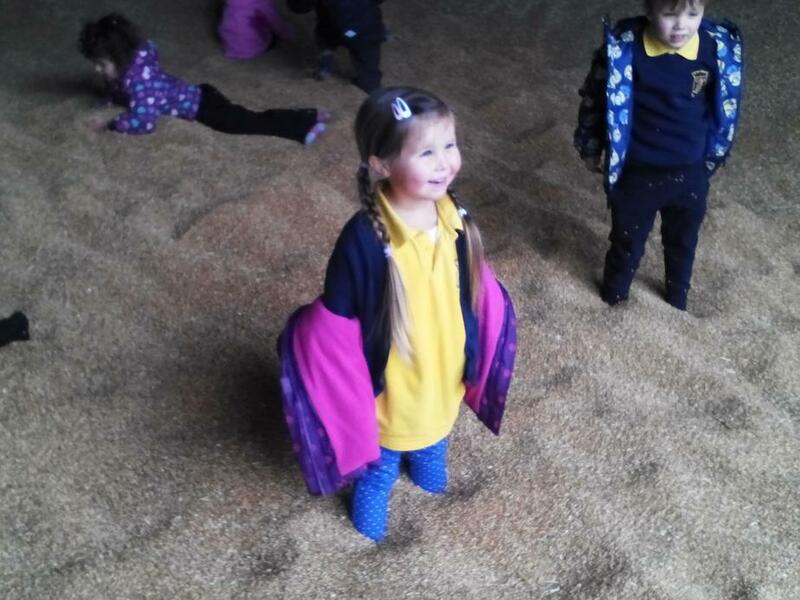 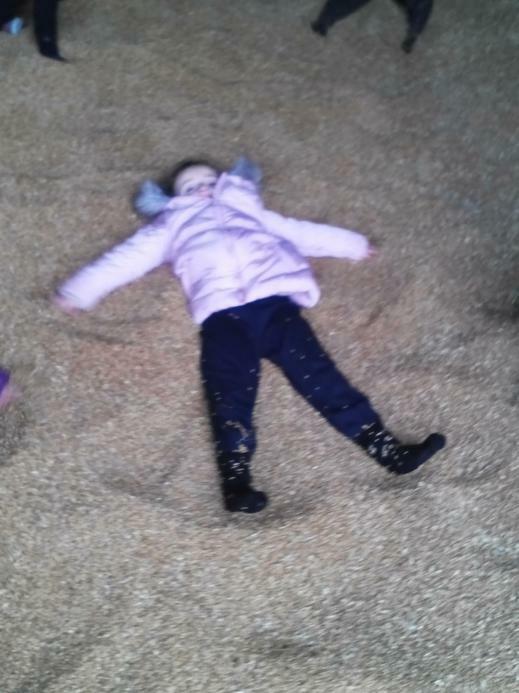 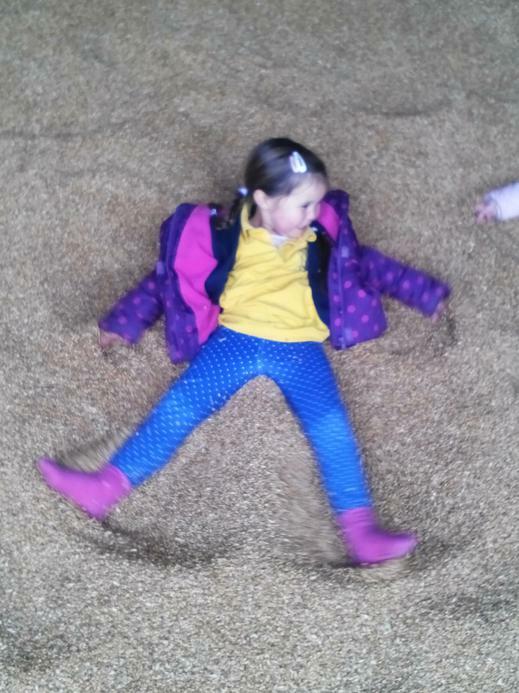 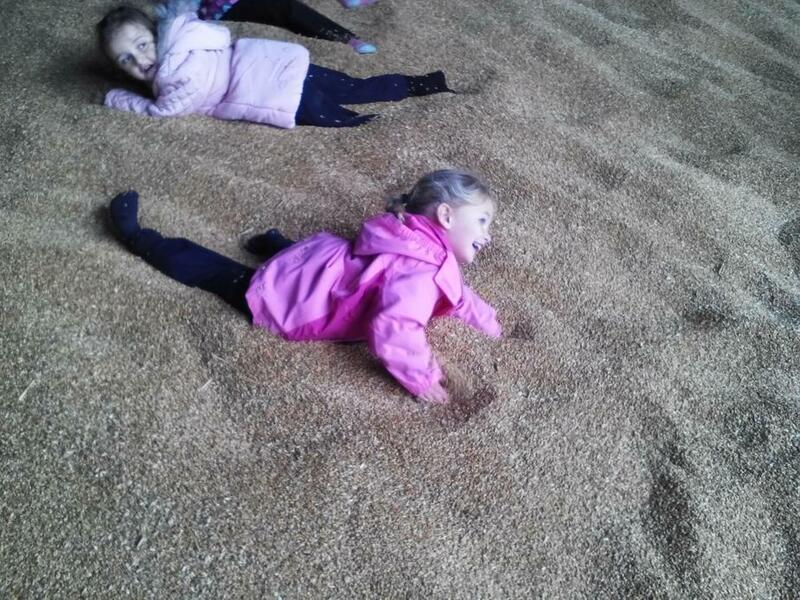 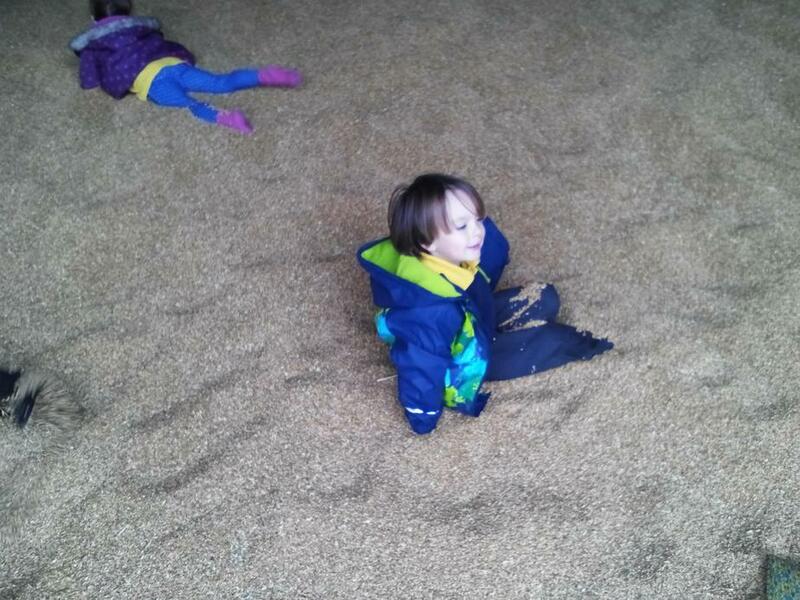 Probably the most popular part of the trip was next...they got to play in a huge store of wheat! 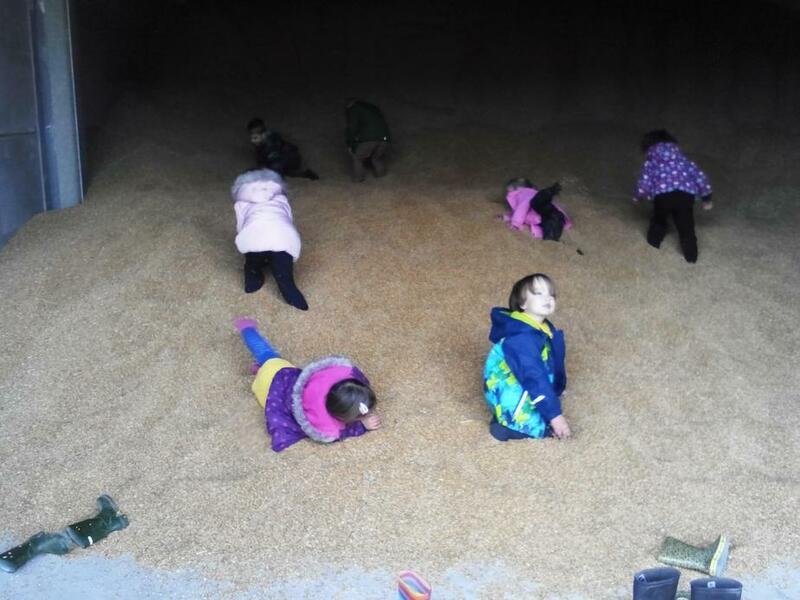 It was wonderful to watch them all exploring how it felt to move in something quite different to what they were used to. 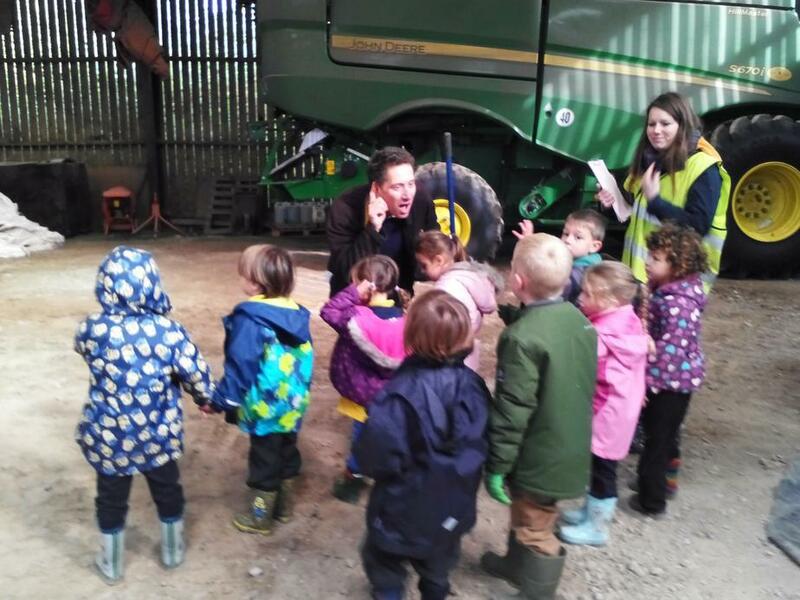 You will see their gorgeous expressions in the photos above - they just loved this experience and we loved watching them have so much fun! 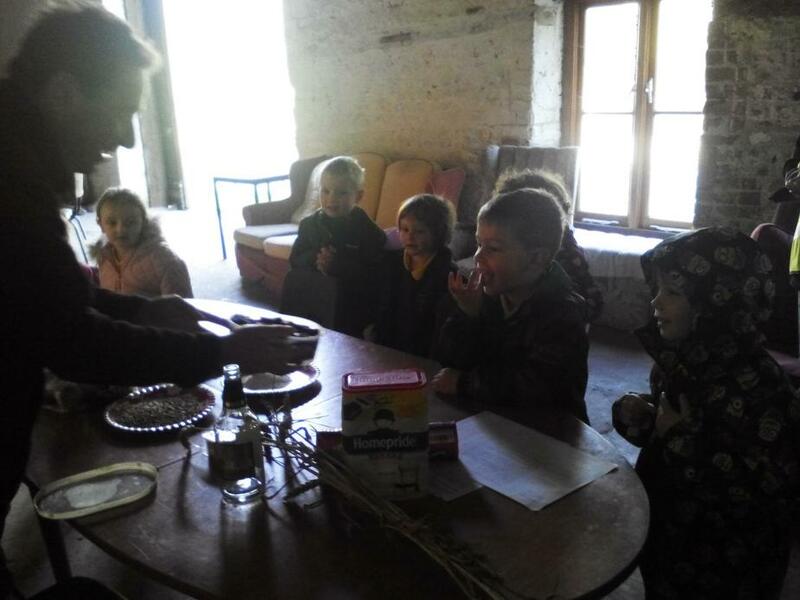 It really was a very fun learning experience for Giant Class - a huge thank you to Mr and Mrs Galia for having us for the morning.